Stranger Things Season 2 is just over two months away from release, October 27th, and Netflix has released two new posters that pay homage to Nightmare on Elm Street and Stand By Me. 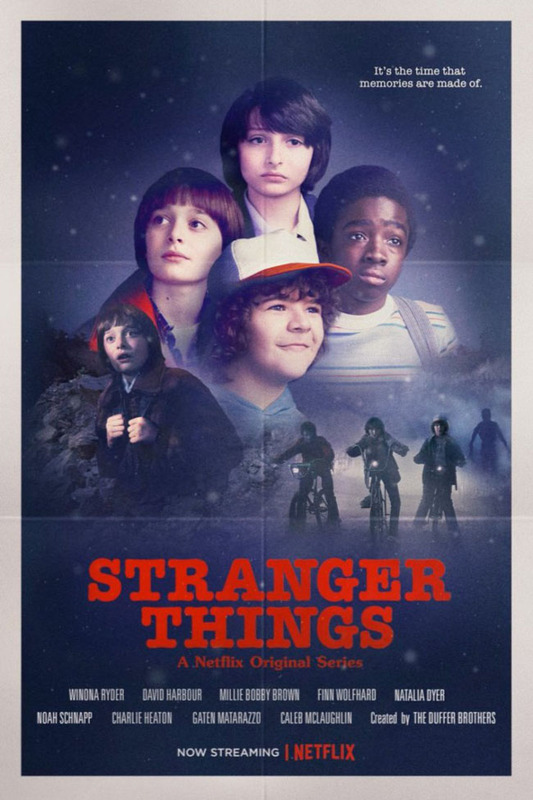 In an effort to promote Season 2 and get fans to rewatch the previous season, Netflix will be releasing homage posters every Thursday leading up to the film’s Halloween release date. The first two posters reflect the influence the classic horror movies have had on the series. Both Nightmare On Elm Street and Stranger Things have a character named Nancy and feature a monster who is after them. The comparisons between Stand By Me and the series are a little more obvious, especially when you consider the dynamic of the kids at the centre of the story. 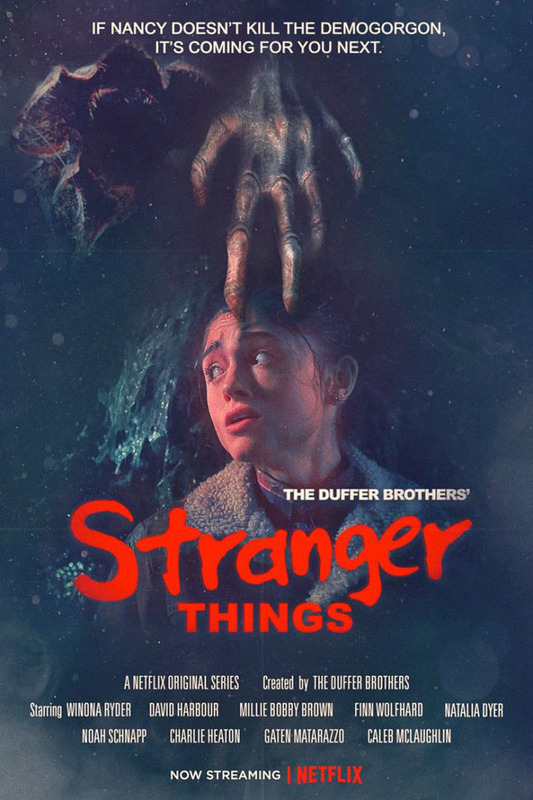 The series stars Winona Ryder, David Harbour, Finn Wolfhard, Millie Bobby Brown, Gaten Matarazzo, Caleb McLaughlin, Natalia Dyer, Charlie Heaton, Cara Buono, Joe Keery and Noah Schnapp.